We’ve often dreamt of living in a house high up on a hill, but this amazing piece of architecture takes that notion to a whole other level. 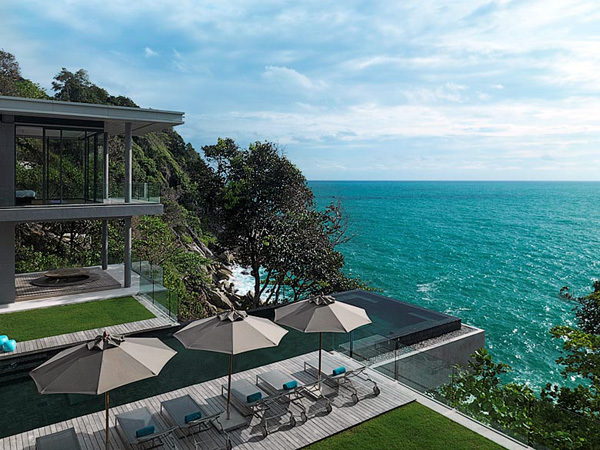 Villa Amanzi in Phuket, Thailand along the exclusive Millionaire Mile, is actually carved out of a granite cliff! 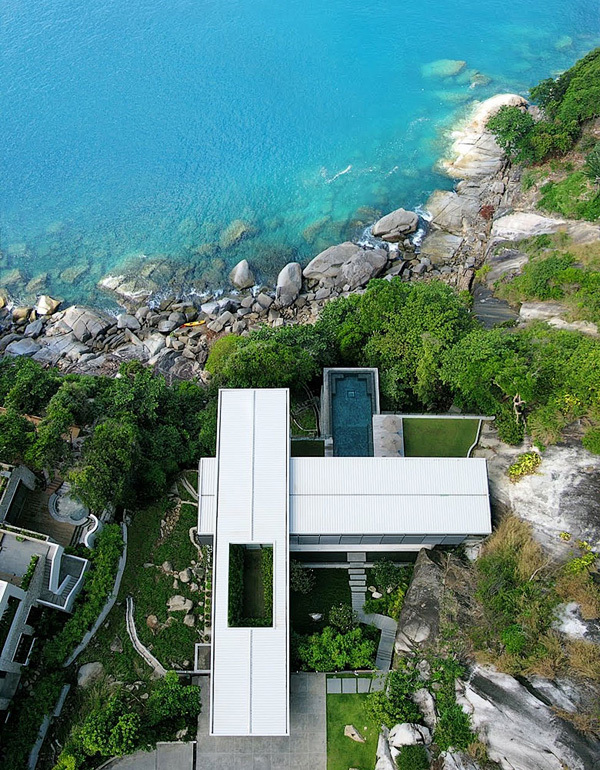 Designed by Adrian McCarroll, Waiman Cheung, and Jamie Jamieson, this modern house offers sweeping views of the Andaman Sea as it is set on the edge of the mountain side. The villa is designed as a private and luxurious yet relaxed retreat for families looking to get away from the hustle and bustle of daily life. 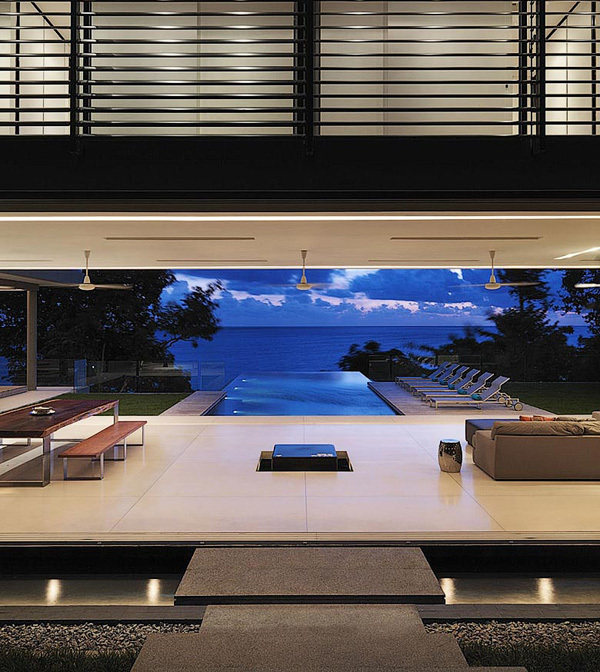 The house design offers a large infinity edge pool that seems to drop off into the sea below. The area surrounding the pool offers grassy areas with tropical gardens to enjoy as well as pool side lounging and a fire pit. 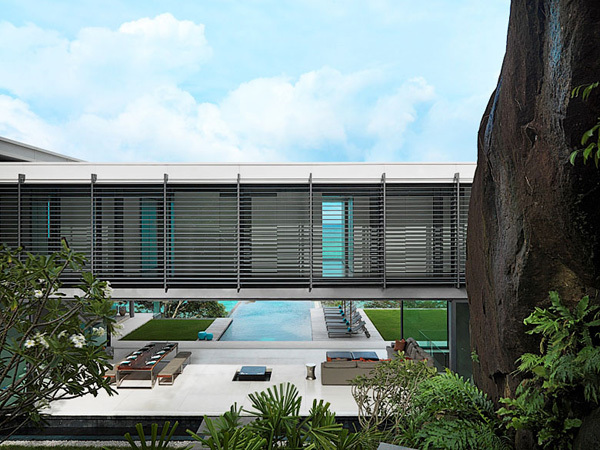 And not to be missed is the catwalk above the pool, a walkway encased in glass that joins two sections of the house. The interior has some special features of its own. With several levels the most prominent feature is the jagged granite rock edge that juts into the main living area. 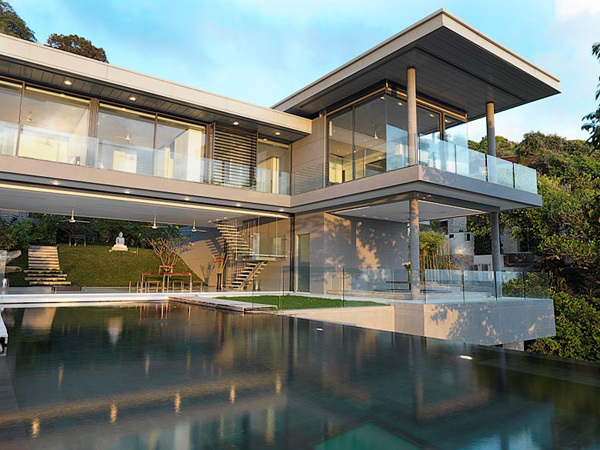 The wide glass sliding doors in the living area open to the surrounding gardens. 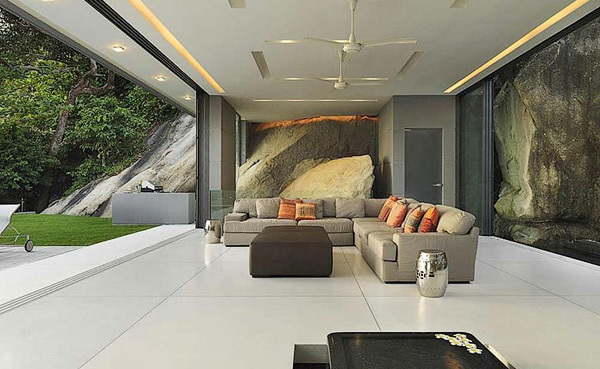 The furnishings are modern and clean lined and blend well with the natural rock face that protrudes into the home. 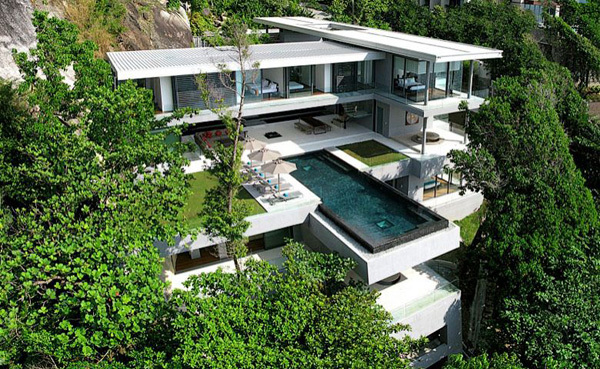 The modern house is truly a testament to engineering as the house seems to almost grow out of the cliff, as if it has been there all along. Want to stay at the Villa Amanzi? It has six en suite bedrooms for you to choose from, all with panoramic views of the sea, a fully equipped kitchen, massage area, jacuzzi and a staircase leading to the sea below.